Unfortunately, we have to cancel Rob's talk due to hazardous road conditions (Rob is currently visiting Vajrapani Institute). We hope that we can reschedule his talk at some point in the future. If you have been practicing Buddhism for a while, why do you still have so many problems? And how do you balance the sometimes different needs of spiritual and psychological perspectives? Rob Preece draws on his personal experience—over two decades as a psychotherapist and many years as a meditation teacher—to explore and map the psychological influences on our struggle to awaken. For psychological and spiritual health, acceptance of imperfection is key. Wisdom does not always come as a flash of inspiration but from the slow, often painful, workings of experience. As we detach from our ideals of perfection and develop our acceptance of imperfection, our love and compassion can grow in ways that are both psychologically and spiritually healthy. The Wisdom of Imperfection delves into this journey of individuation in Buddhist life, articulating the psychological processes beneath the traditional path of the Bodhisattva. 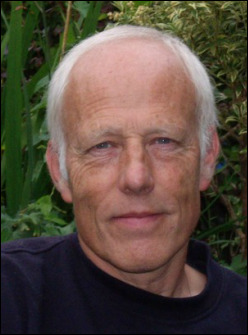 Rob Preece has been a practicing Tibetan Buddhist for the past 40 years. He was a founding member of Manjushri Institute in the UK and lived there until 1980 when he went into retreat above Dharamsala on the guidance of Lama Yeshe and Lama Zopa Rinpoche. Returning to the west in 1985 he began to train as a Psychotherapist at the Centre for Transpersonal Psychology in London, a Jungian based psychotherapy. Since that time he has had a busy psychotherapy practice and has taught many workshops on comparative Jungian and Buddhist Psychology. More recently his work has shifted from psychotherapy to spiritual mentoring. Over the past 25 years Rob has also lead many meditation retreats introducing the practices of the Tantric tradition with a wish to honor Lama Yeshe’s profound and creative approach to practice. Rob is an experienced thangka painter and keen gardener and is the father of two boys. He is the author of "The Psychology of Buddhist Tantra", "The Wisdom of Imperfection", "The Courage to Feel", "Preparing for Tantra" and "Feeling Wisdom". Your generous donations are essential for the continuation of programs like this. No one turned away due to lack of funds — please contact us to make arrangements.